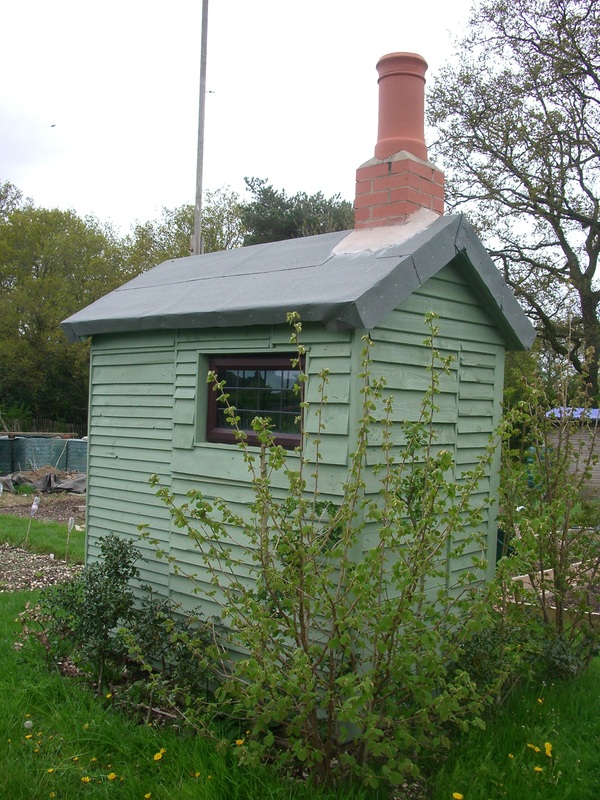 views of other plots at our allotment site – my favourite shed is the green one with a real chimney pot! 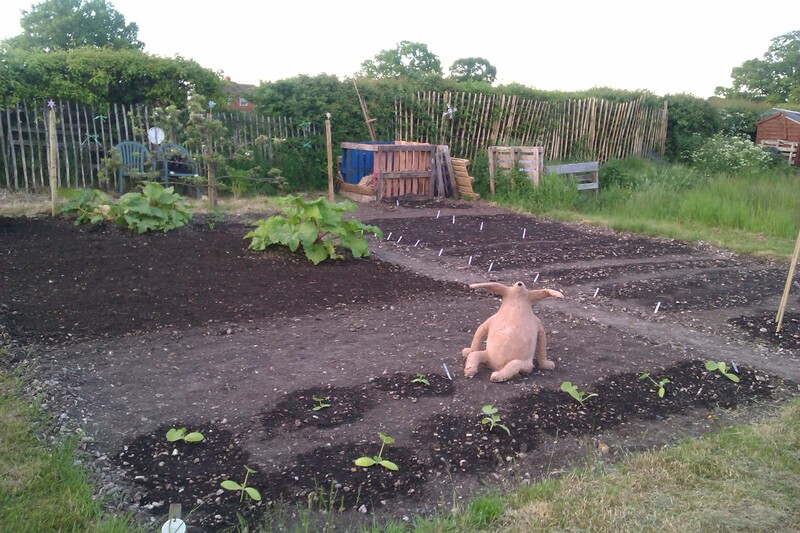 We went for a short bike ride and rode by the nearby local allotment. 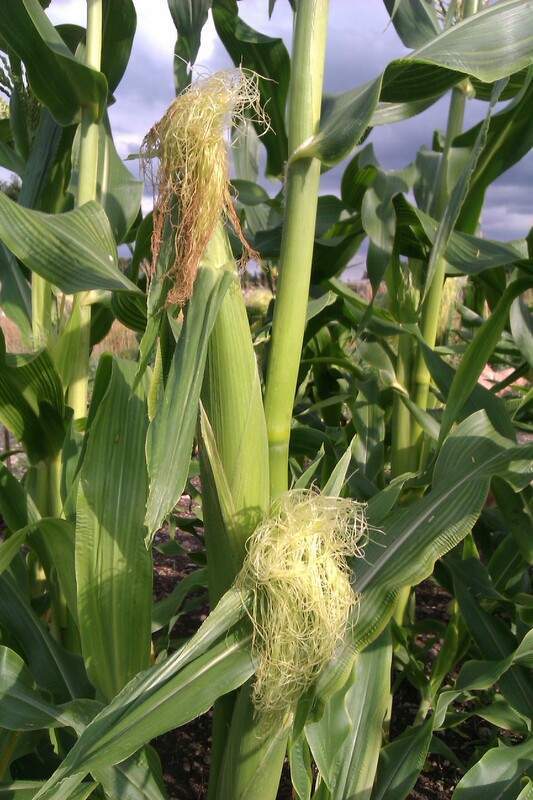 We stopped to read a sign on the gate encouraging people to apply for plots. 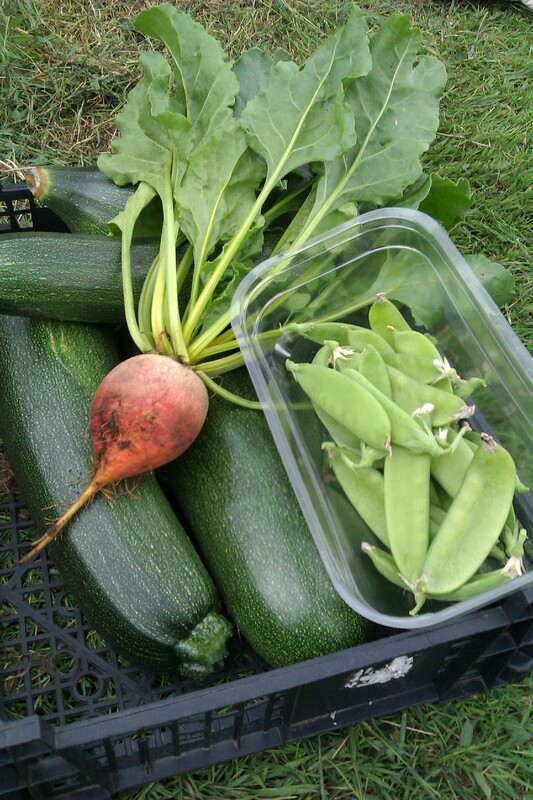 A couple tending their plot asked if we were interested and offered to show us around the site. We said yes please and went in. 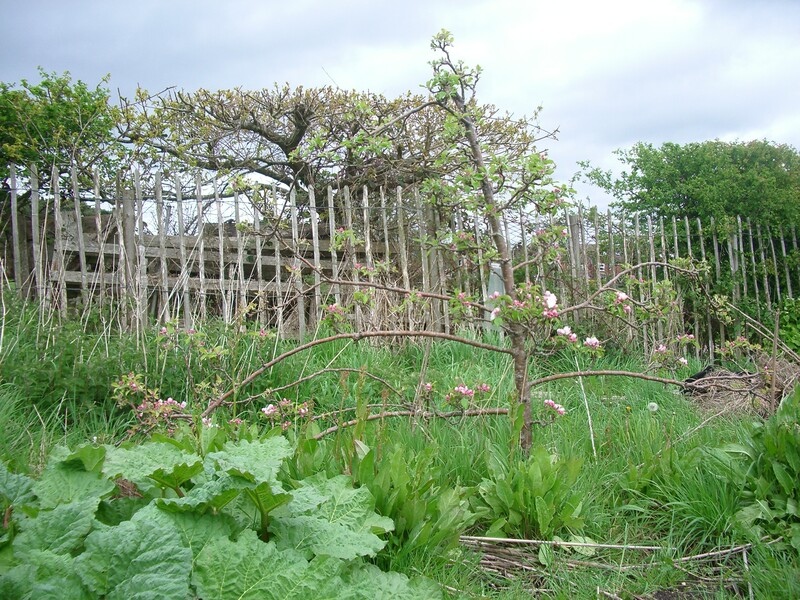 There were a few plots that had become free… we hadn’t even considered having an allotment plot before this but it seemed quite appealing. 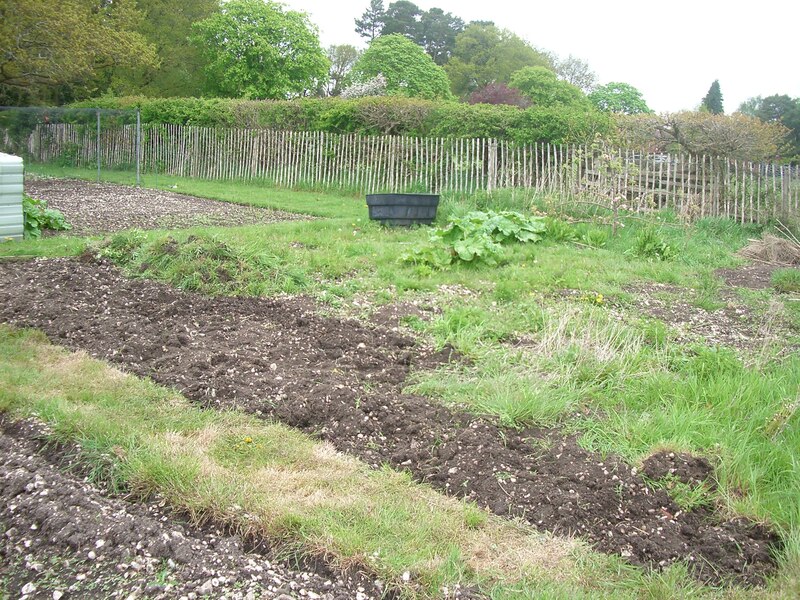 Particularly as there were also half plots available which we thought might be a more sensible option for us. 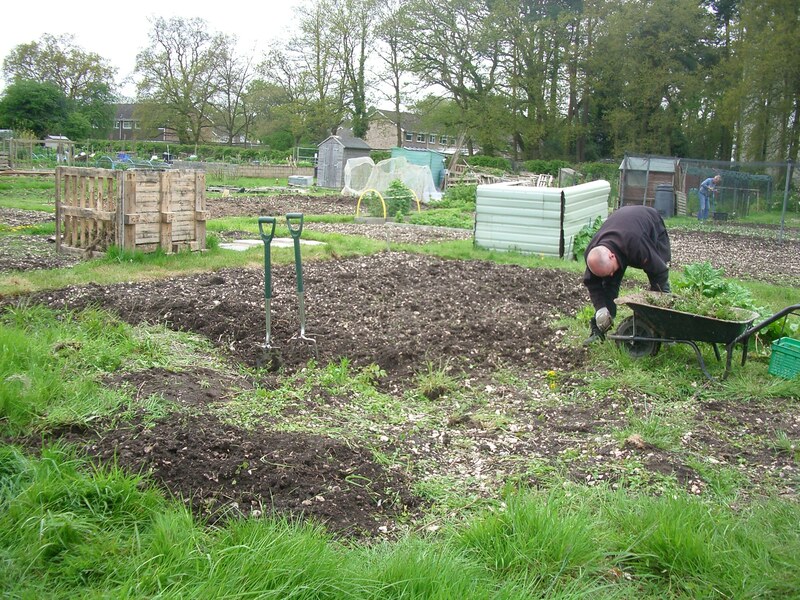 The lady (who happened to be the site steward) told us to have a think about it and how to apply if we were interested. 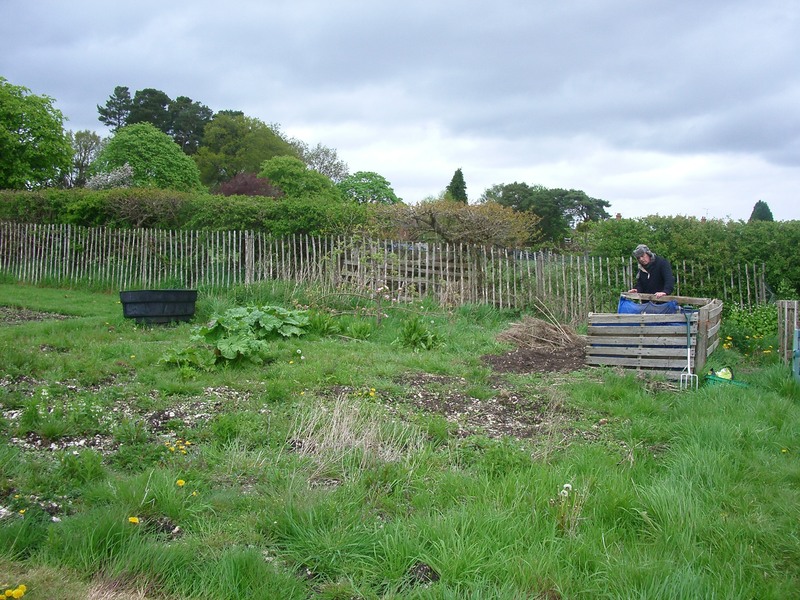 We thought about it decided that some regular outdoor exercise along with the added bonus, over time, of turning a piece of weeded land into a plot of fruit, veg and herbs was something we were prepared to put some time and effort into. I hope we’ve made the right decision! 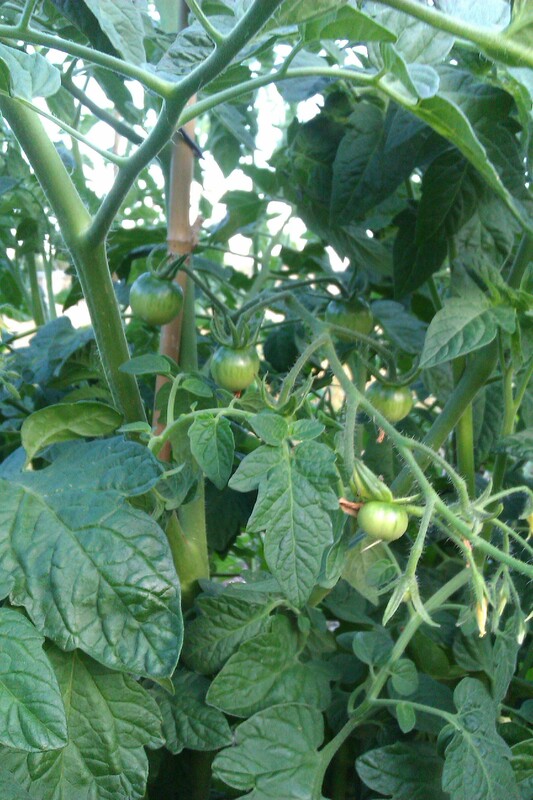 TUESDAY 8th MAY 2013: Yikes! We’ve had a positive reply. 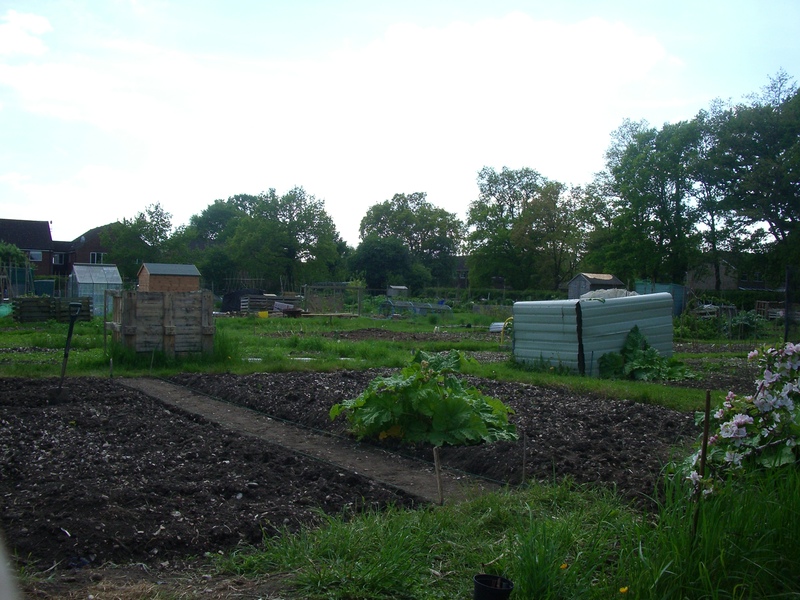 We nipped over to the allotment to choose our plot with the steward, she said we would soon receive a contract in the post for signing. THURSDAY 10th MAY 2013: The contract has arrived already! 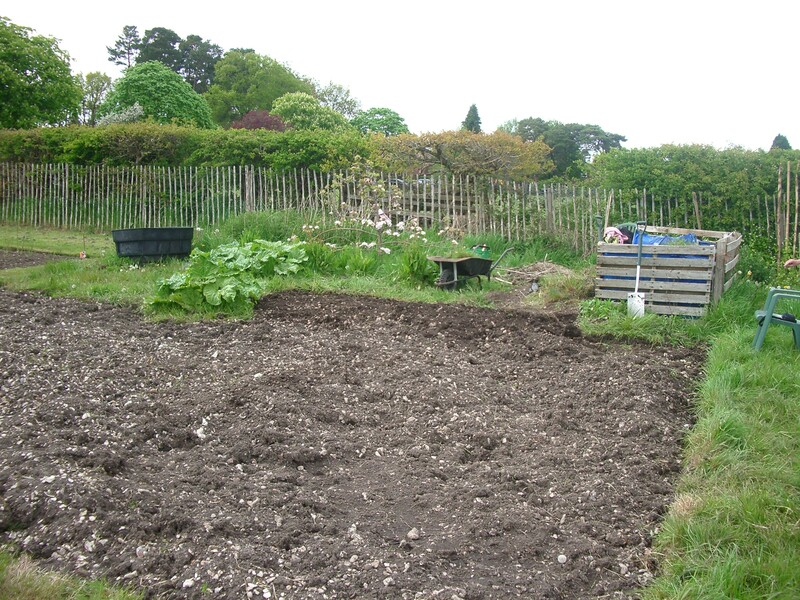 FRIDAY 10th MAY 2013: We collected the key from the Town Council for a £10 deposit and paid £17.50 for our half plot No.38b for a year. 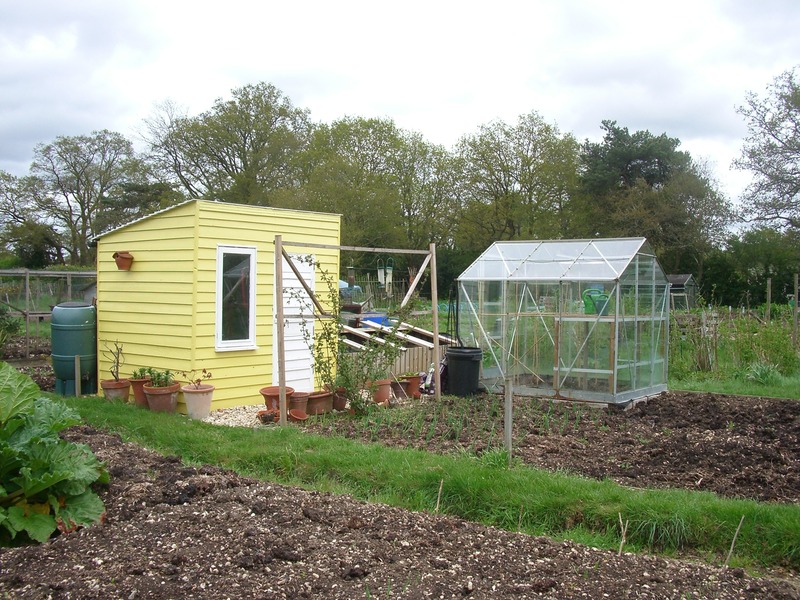 We are officially ‘Allotmenteers’ – woohoo! 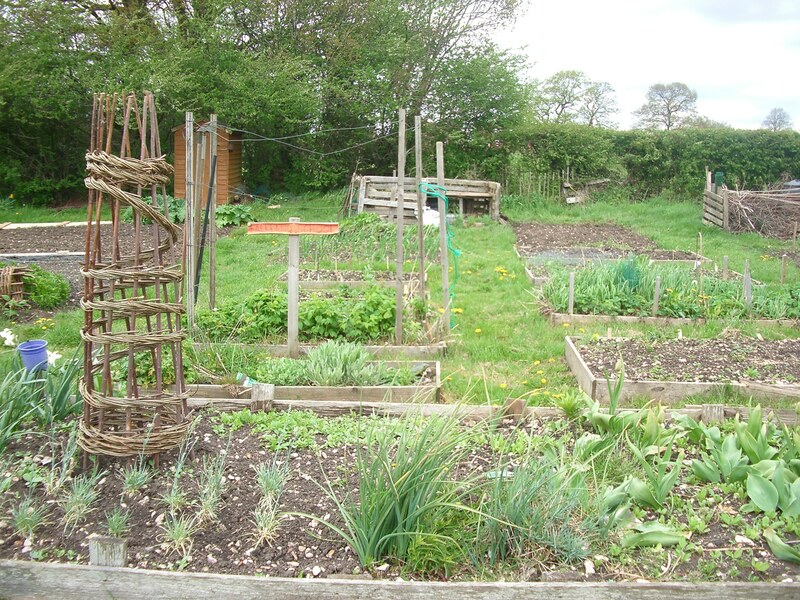 This is our plot, it’s full of grass, stingers and weeds – but is apparently ‘not too bad’. 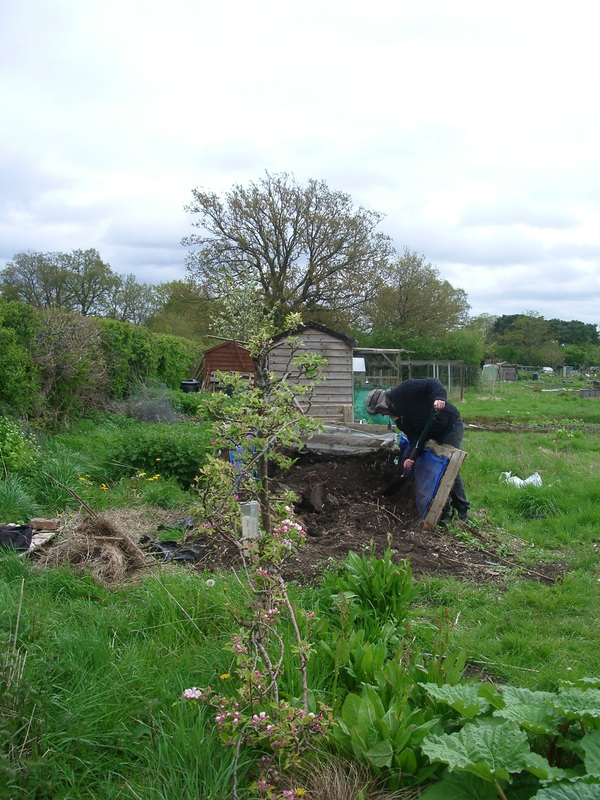 There’s a dilapidated compost bin made from rotting pallets so we’ probably need to repair or make a new one. 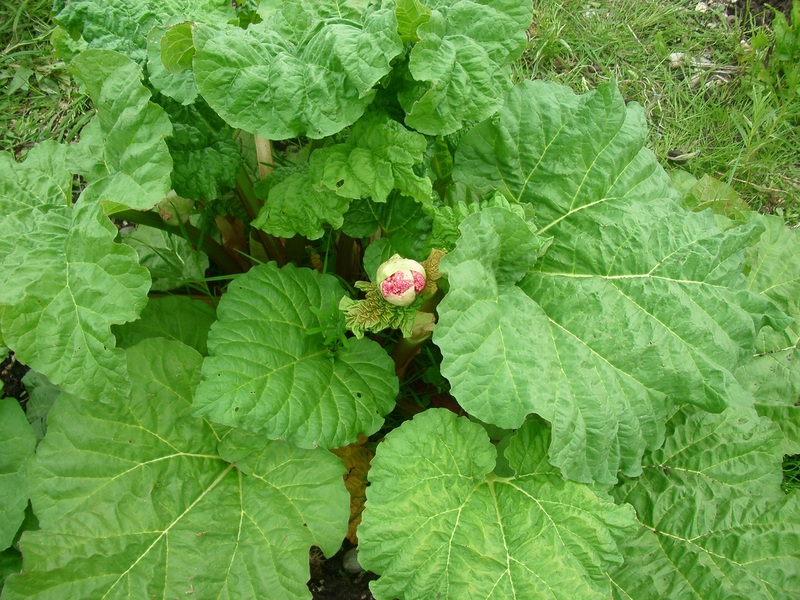 We have two lovely rhubarb plants – which I’m very pleased about considering it costs £1 a stick in the supermarkets! 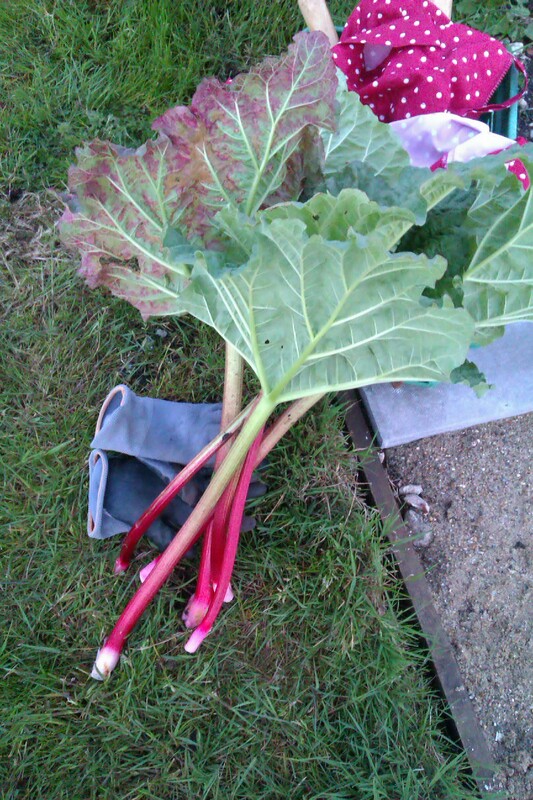 I’ve read that the flower heads should be cut off to help the rhubarb sticks grow better. 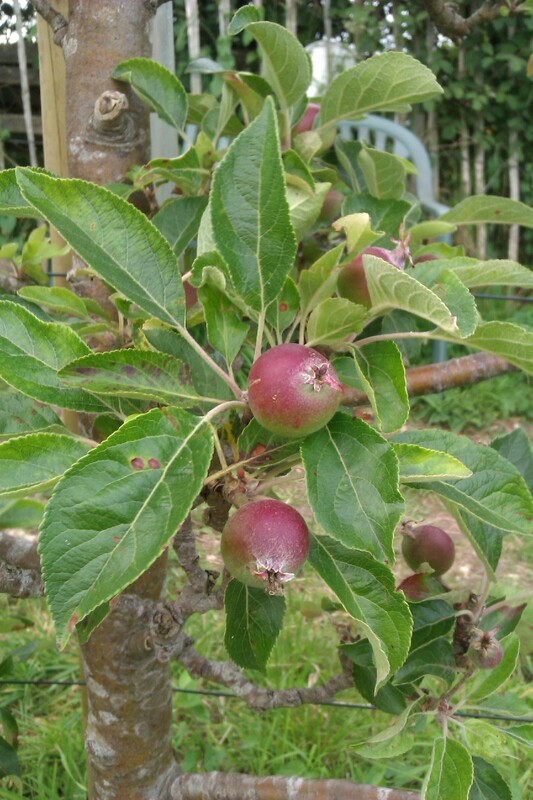 There’s also a pretty little dwarf apple tree – it looks like it may have been trained against something but whatever it was has been removed so this will be on our task list too. 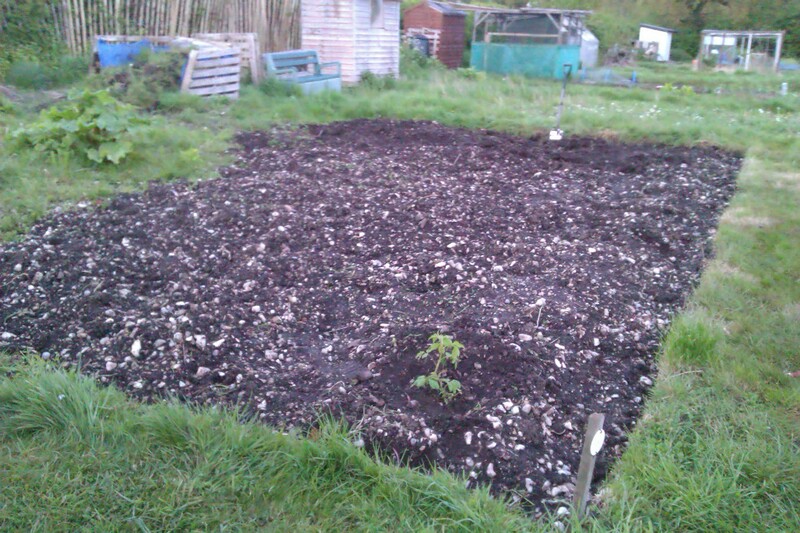 A sunny early evening made it very pleasant to dig another little patch. 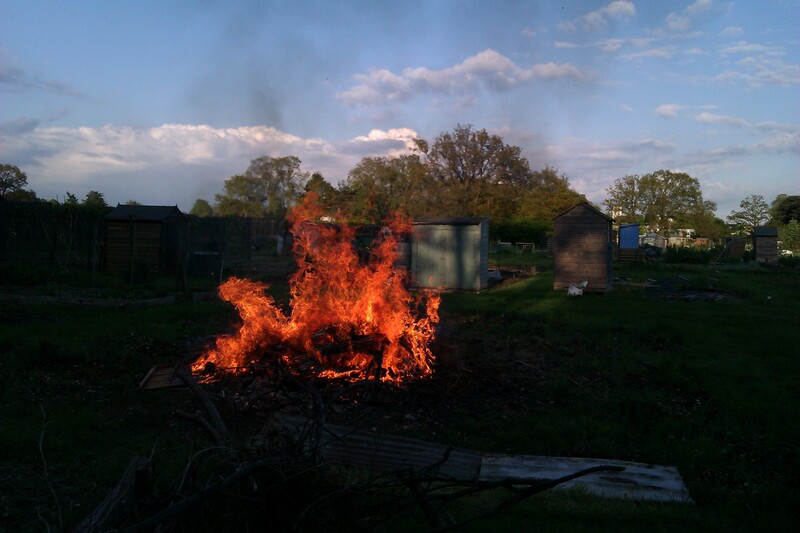 One of the other allotment holders had an old shed to get rid of so we stopped to watch the bonfire. 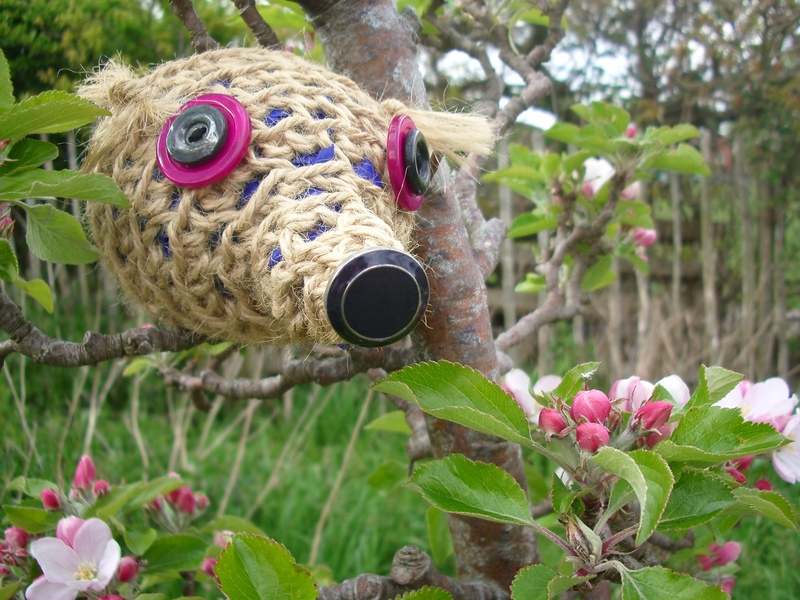 Oh good, we’re beyond the big rhubarb now, being closely watched by our recycled plastic bag and garden string hedgehog. 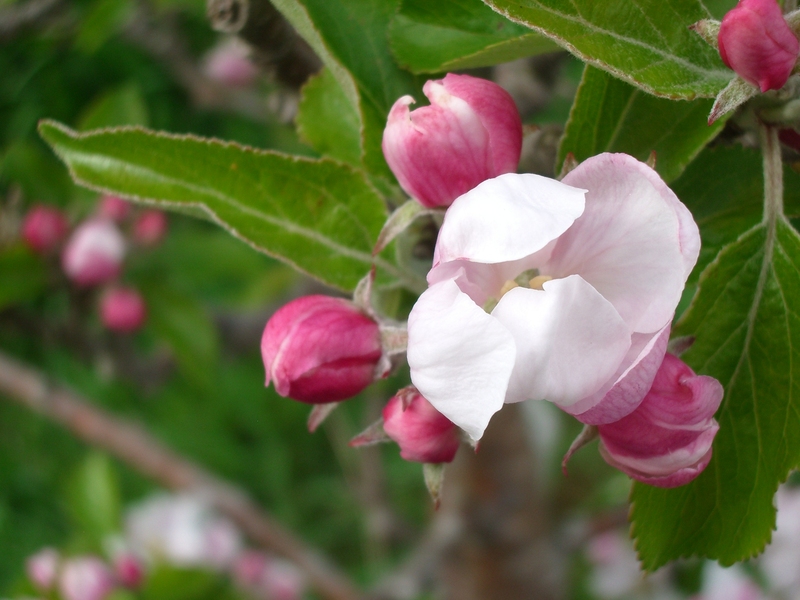 Doesn’t the apple blossom look gorgeous. 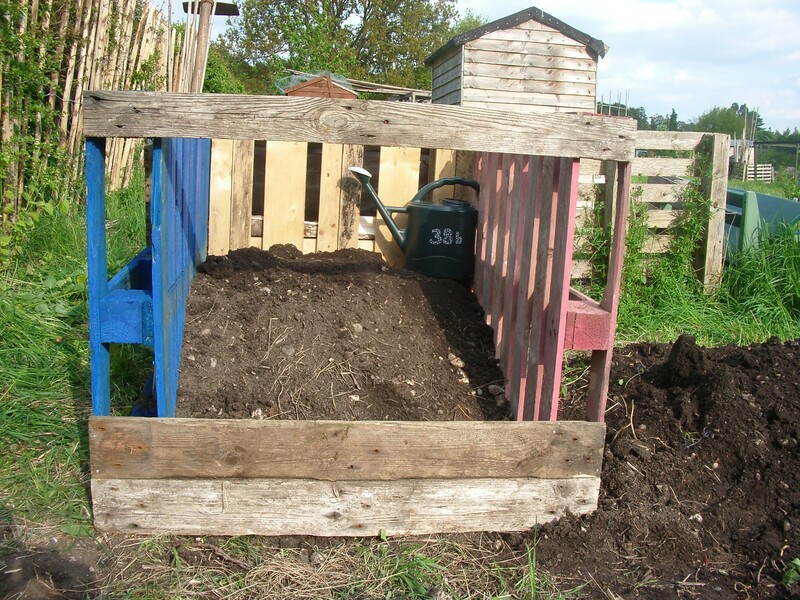 Our colourful new homemade pallet compost bin. 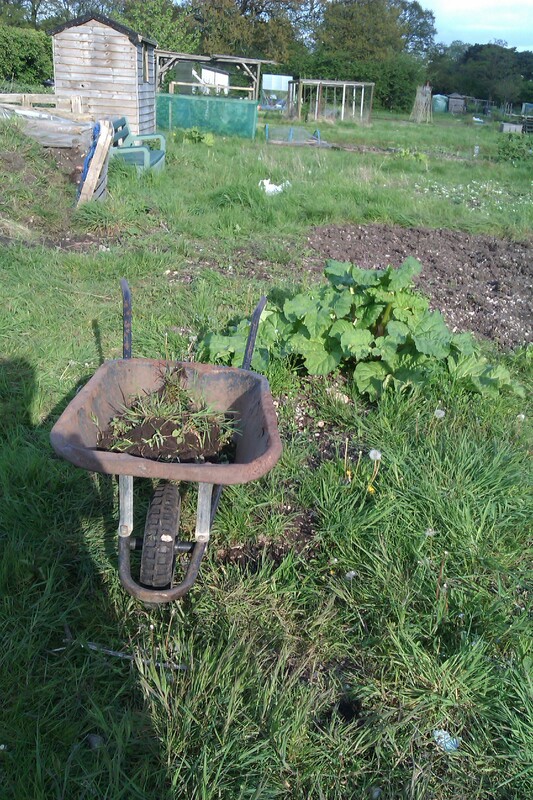 The owner of our local Budgens very kindly let us have some of his unwanted pallets to repurpose. 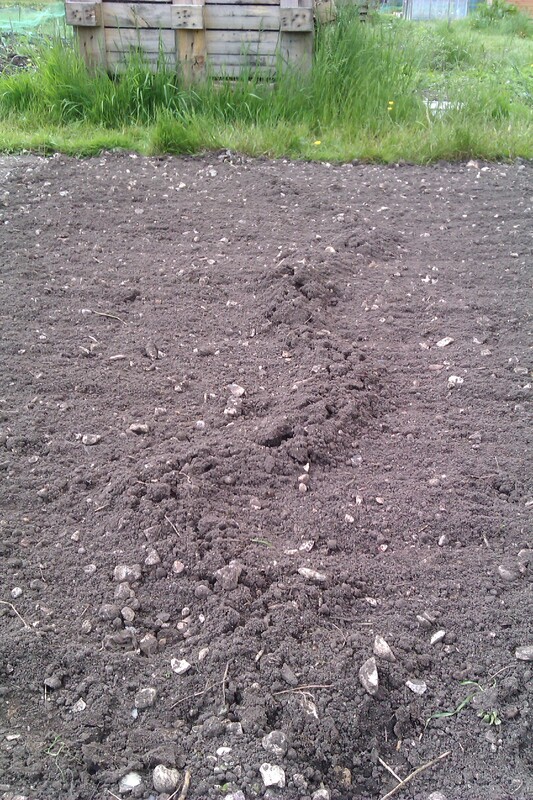 We’ve created a path up the centre of the plot to break things up a bit. 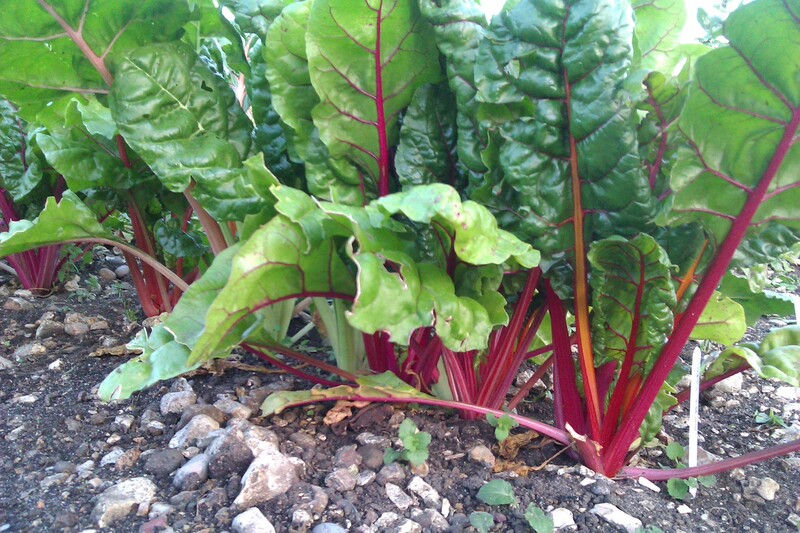 More seed planting today: Golden Beetroot, Swiss Chart and Florence Fennel. 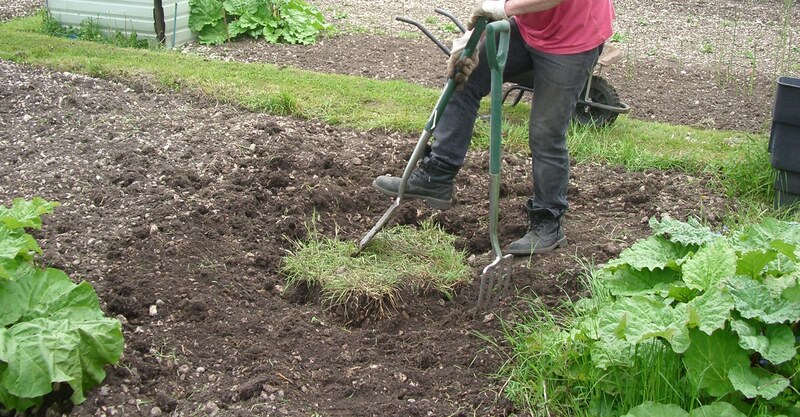 And another patch of second digging on the other side. 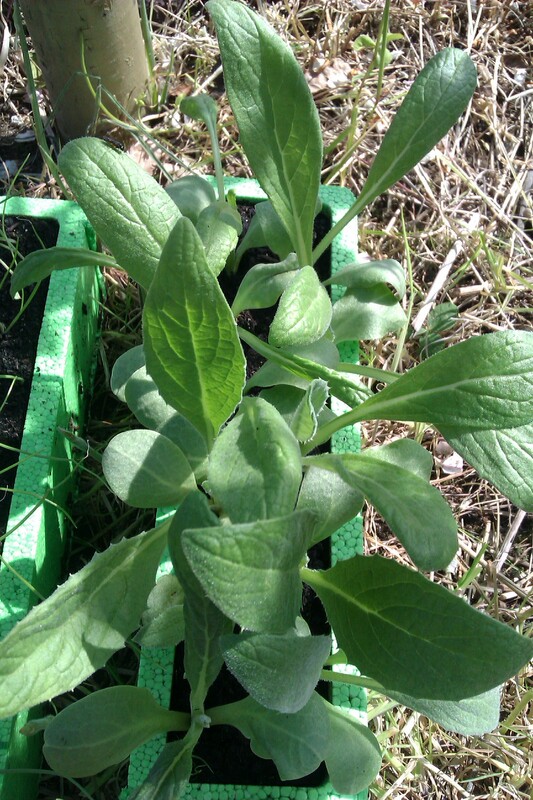 We bought some plants that were labelled as 2 x globe artichokes but there were 12 in the strip. 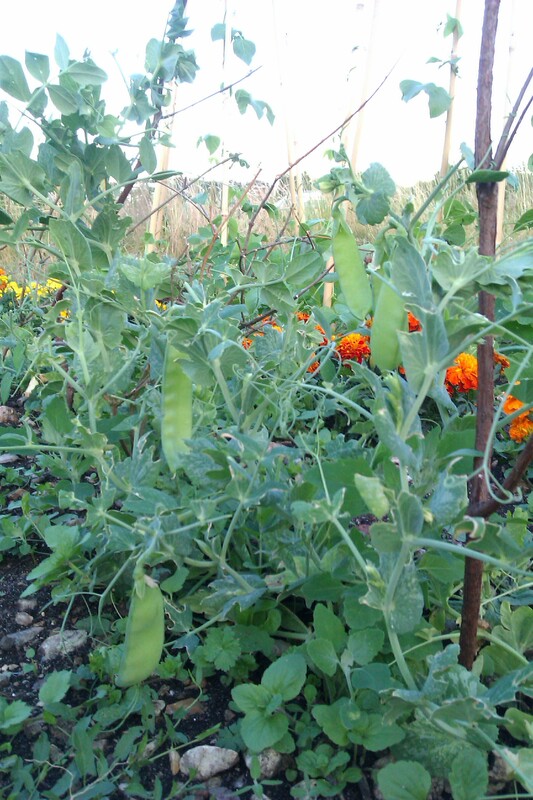 So we were either very lucky to get 12 for £2.99 or they aren’t Globe Artichokes… time will tell! 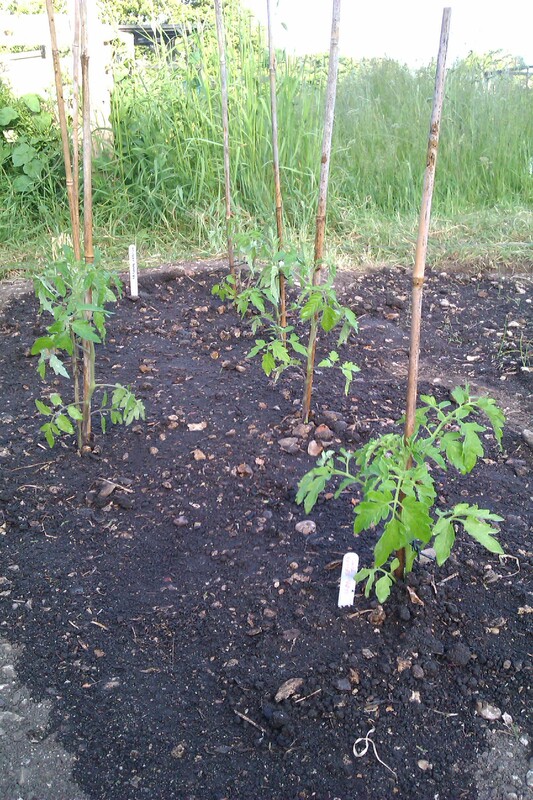 We have two new plot visitors. 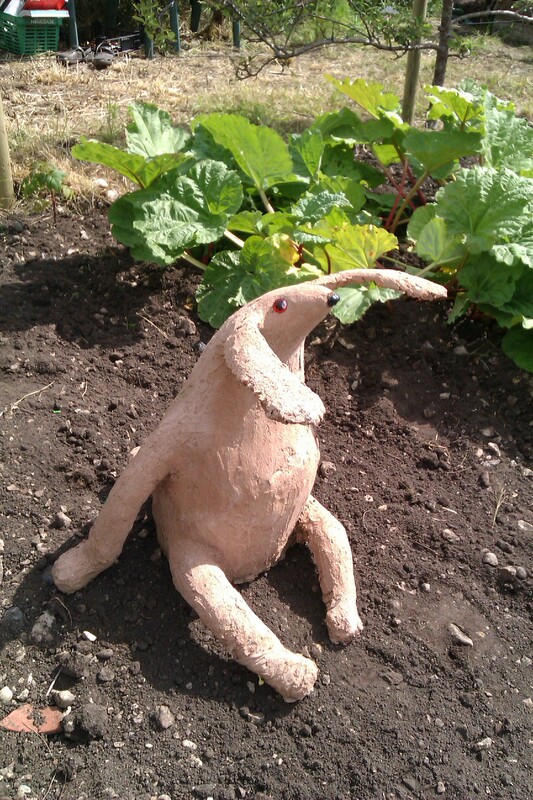 A welcome one – Boris, our homemade outdoor creature and an unwelcome one… a mole 😦 He left a raised trail all the way through the last patch of freshly dug earth. 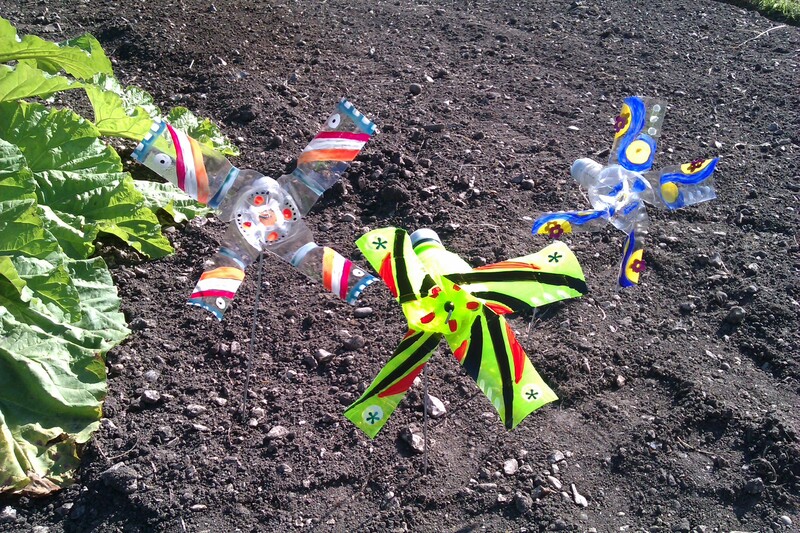 Today we planted purple carrot seeds, red onion and white onion sets, tiny shallot plants and purple spring onion seeds. 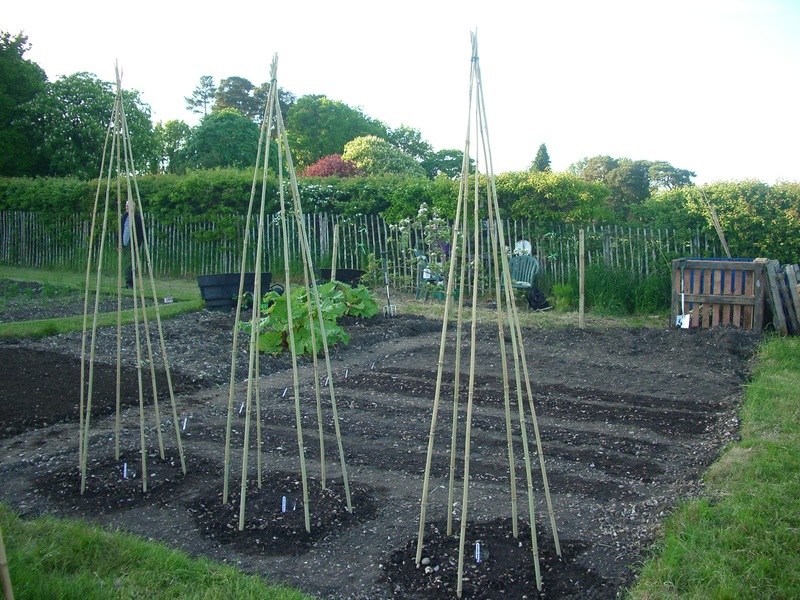 We also put 4 (hopefully) glob artichokes in and a few strawberry plants. 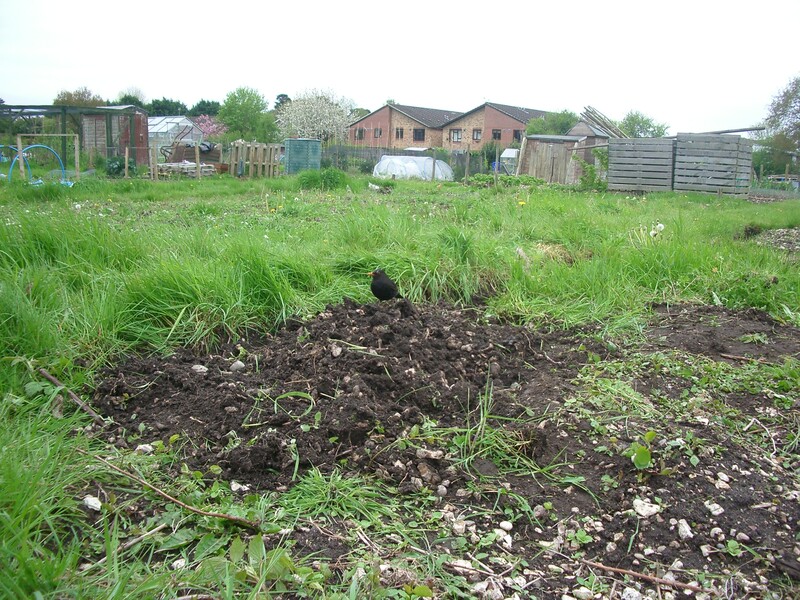 The digging is finished – hooray! 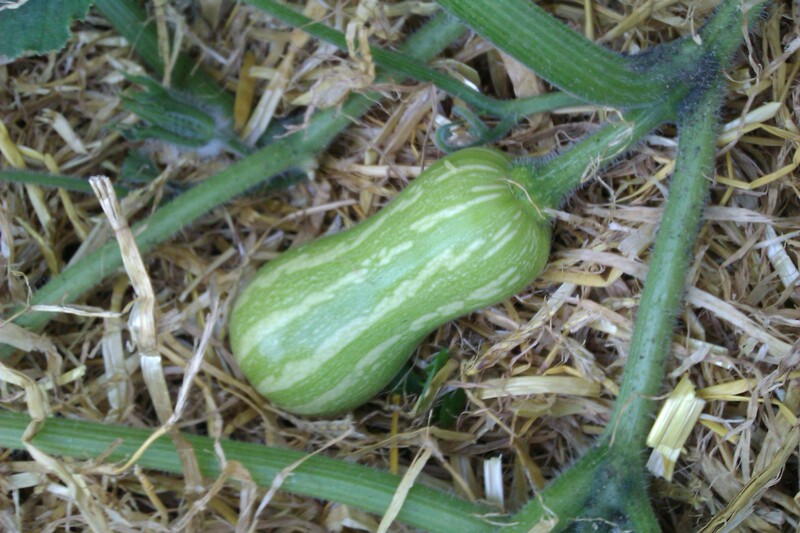 We did the last bit of planting today – courgettes that I grew from seed at home. 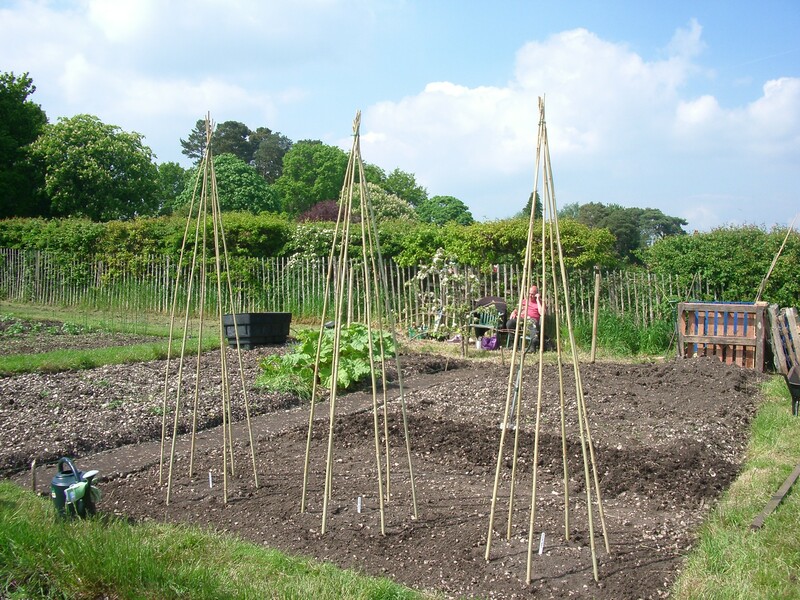 We’re planning to visit a couple of school fetes at the weekend to see if we can pick up some plants to fill the rest of the space with. 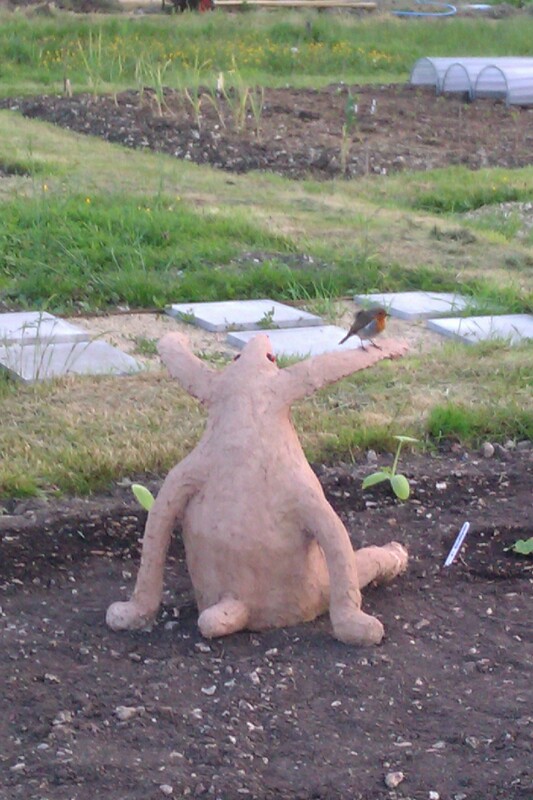 Boris has settled in nicely and has already made friends with our scruffy robin. 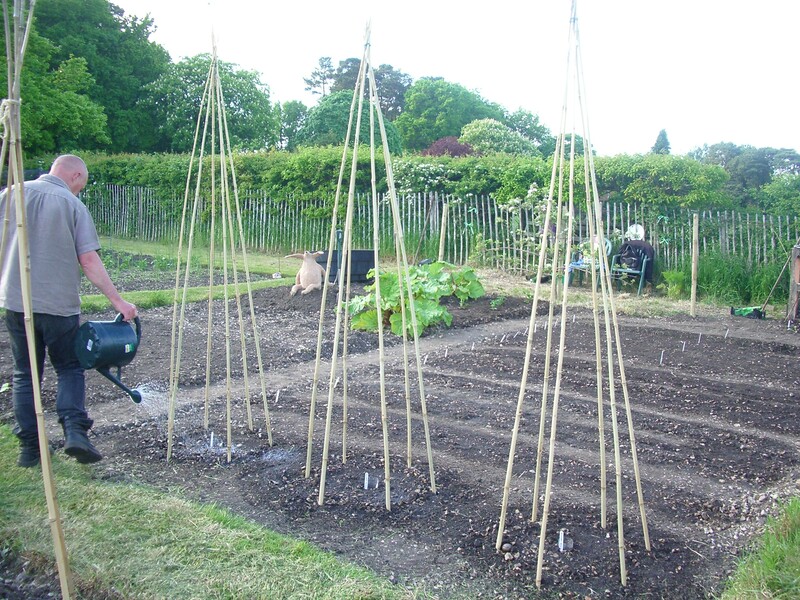 Thank you 🙂 We did our first bit of planting today – runner beans and mangetout – time to keep a watch out for slugs.